The Peoria Wingfest has become one of my favorite events in Peoria. It kicks off the summer events that happen on the riverfront and there’s always a fun crowd of people in attendance, live music, beer and vendors offering a delightful and delicious selection of some of the most tasty chicken wings in Peoria. 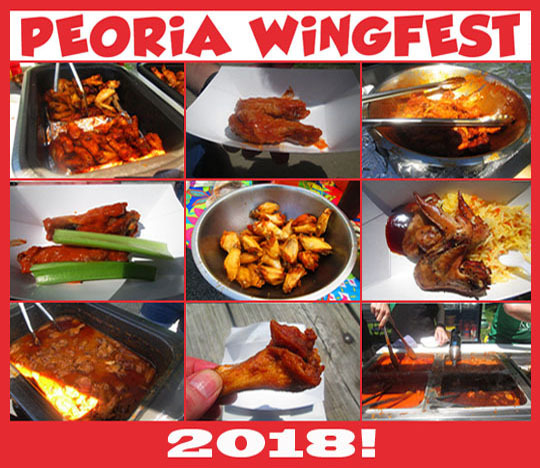 This year was the third Peoria Wingfest and you can see the MBIP posts from the first two by clicking here and here. This year they had a record amount of people in attendance and so many styles of chicken wings it was mind blowing. If you missed it, you can see photos of the festival below and if you were there, you might just be in one of the photos! 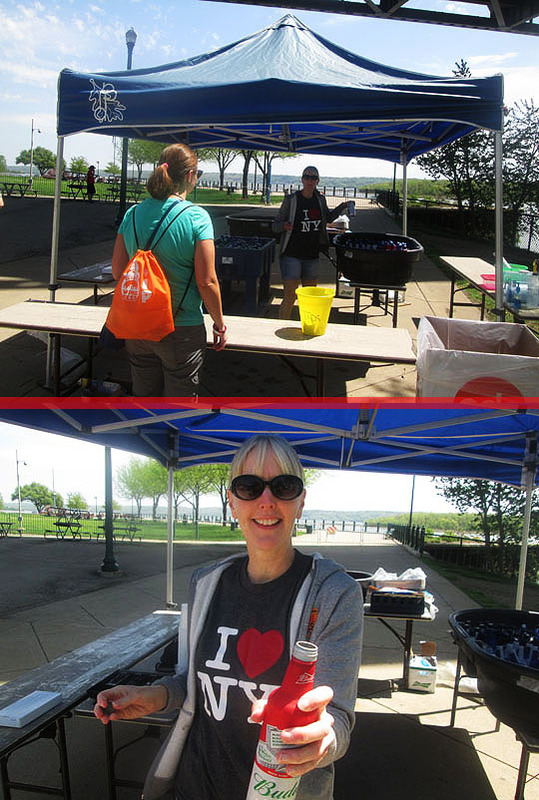 The Peoria Wingfest takes place where most of the Peoria riverfront events happen, right here at Festival Park. I checked in and got my VIP bag and headed into the park. I got there fairly early to get some photos before the general admission crowd arrived and my first stop was at the beer tent and I got an ice-cold bottle of Budweiser from this lovely lady! Cheers to Peoria Wingfest 2018! They had 17 vendors this year and they included, Kenny's Westside Pub, Smoky Burgers n' Frites, Whitey's BBQ, Industry Brewing, The Publik House, Moja Southern Kitchen, McMahon's Pints & Plates, Country Saloon, The Cookery Inc., Noir Tapas & Rendezvous Lounge, Something 2 Taco ‘bout, The Country Club BBQ Country Saloon, Fieldhouse Peoria, Castaways, Dizzy Deans Sports Bar, Donnelly's Irish Pub and Cheese Nuts Brickoven Pizzeria. I think this is the most vendors they’ve ever had and I can’t wait to sample the chicken wings! Okay, it’s 1PM and time for the gates to open for the general admission crowd. As you can see there’s a huge crowd waiting to get in and once they made their way in, the lines got a lot longer, but they still moved fast. There’s live music all day and the opening band was PhanieRay & The Soul Shakers. They played a lively set and the music is a blend of soul and hip hop with some undertones of jazz, rock, blues and funk thrown into the mix. 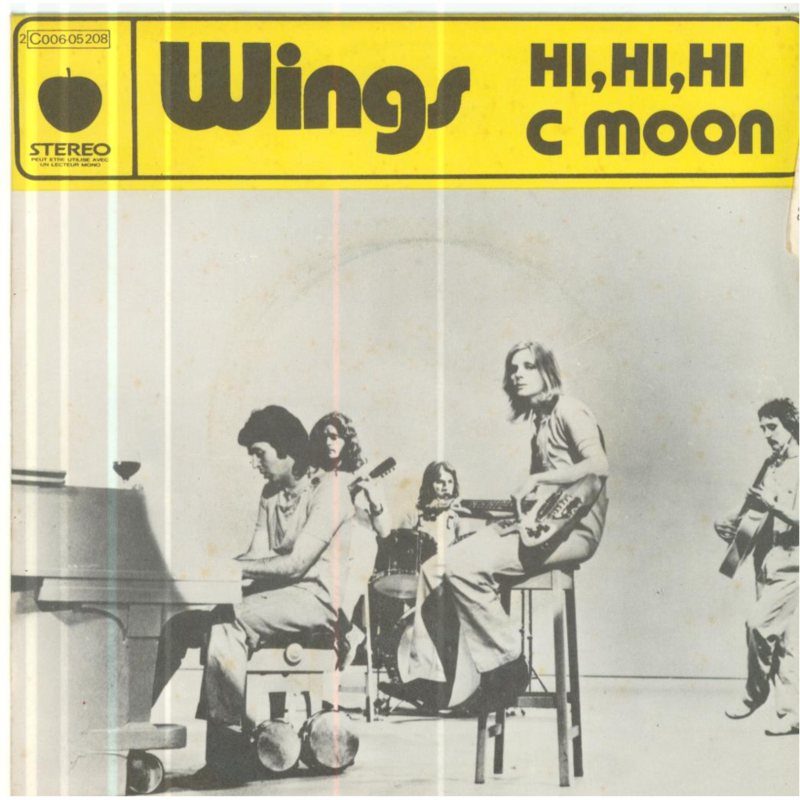 You can read about the band and see photos at their website and check out a live song by clicking here. They set a new record this year and over 79,879 people came to sample wings and wash it down with cold beer! This set a record for the largest chicken wing festival in the world and there was a documentary crew from the BBC filming it. The Peoria Chicken Wing Festival British documentary is going to be broadcast on the BBC on December 32nd of this year, so be sure to tune in to that! In the meantime, here’s some faces at the festival captured by the MBIP Camera! While there was beer, fun people and live music, the star of the Peoria Wingfest is the chicken wings and there were so many to taste this year. All in all, 7,897 pounds of chicken wings were cooked up and there was a wide selection of flavors and styles of chicken wings to sample. There was everything from traditional Buffalo wings to spicy habanero wings and one vendor even had a special recipe that flavored the wings to taste exactly like Marcia Brady’s uterus! All of them were so delicious and tasty! As the afternoon moved on, so did the live music. The popular band, 3 and a Half Men played for the last half of the afternoon. They play music spanning from rock, pop, country, alternative and funk. They bill themselves as a party band and you can read more about them and see some photos of the band on their website and watch them live on their facecrack collection of videos right here. The MBIP Favorite Wing Of The 2018 Peoria Wingfest! I sampled a lot of wings and they were all spectacular, but my personal favorite chicken wing was the Peanut Butter Wing from Kenny’s Westside Pub. This is one of the best and most original flavors for a chicken wing I’ve ever had! There’s heat from the spicy wing sauce and then the creamy peanut butter flavor comes sneaking through making it a festival of flavors in every meaty wing. This style isn’t on the main menu at Kenny’s, but if Sean Kenny is in the house and you ask him real nicely, he might just make up a batch of them for you! Thanks to all the vendors and sponsors of the Peoria Wingfest 2018, it was a blast and I’m already looking forward to next year’s winged festival! Cluck yeah! Related Posts: Peoria Wingfest 2016 and 2017.